The latest Boot Cleaning Kit! Great for travel and keeping in your locker at the Police Station! This item comes with two tins of polish, two brushes (polish on, polish off), Duster all kept nicely together in an Olive Canvas Bag. If you need new cleaning kit then this is for you! Very cheap and very easy to use. All Police Officers and staff need to keep their Boots clean and tidy, and this set will do just that. 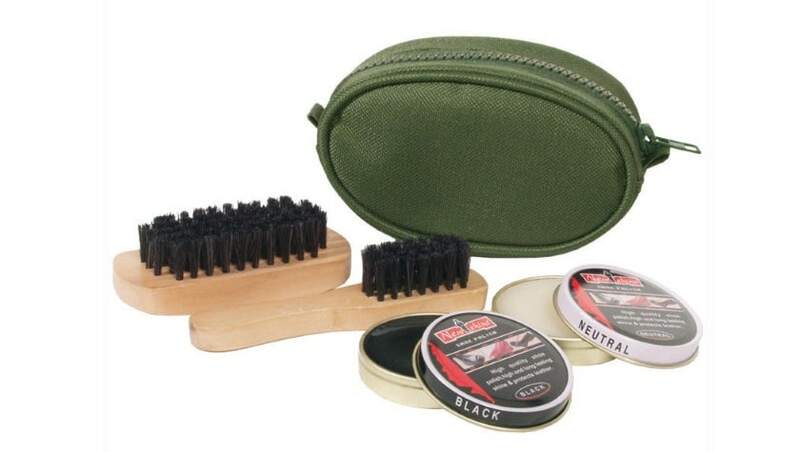 Police Boot Cleaning Kit - Available now and will keep your boots clean and shiny! Plus FREE Delivery.